We aren’t like any other logistics company. 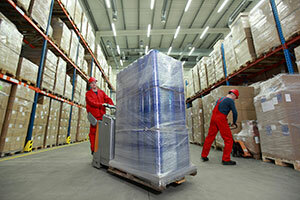 Peosta Warehousing Logistics is where huge capacity meets small town values. Our professional and courteous staff recognizes that there is so much more to warehousing and logistics than just storing your stuff. It’s providing a whole host of warehouse logistics management specialized and customized to meet your company’s specific warehousing and distribution needs. In Kansas City, Chicago, Minneapolis, or Milwaukee, Peosta Warehousing Logistics has your inventory logistics covered with our climate-controlled, food-grade warehouse. While many warehouse companies stress their ability to hold your items, we focus on providing a safe and secure location for your products coupled with our staff’s desire to add value to your organization through cost-effective, smart warehousing and distribution services. Our dedicated staff provides full-service fulfillment, container unloading and cross docking, pick and pack, kitting and assembly services, and both local and international logistics and distribution. We can also do labeling, transportation, pooling of shipments, import and export management, as well as drop lot and door management. Our number one priority is making the lives of our clients easier by using the latest technology available. Don’t leave your warehouse logistics management to just anyone, when the thoughtful professionals at Peosta Warehousing Logistics have decades of experience just waiting to offer it to you. Please call us at (888)704-0707 or (563)556-0707, or drop us a note. Leave us a name and a number and we will get back to you in short order. Our unparalleled ability to be flexible, efficient, and accommodate unpredictable customer demands makes us a one-of-a-kind partner in logistics and warehousing. We appreciate the opportunity to serve and add value to your business. Thank you for visiting the online home of Peosta Warehousing Logistics in Peosta, IA. We are a logistics company offering local and international logistics. Our central location and huge warehouse space makes us a preferred choice for logistics services. Call us or fill out the form provided below for more details. We will get back to you promptly.